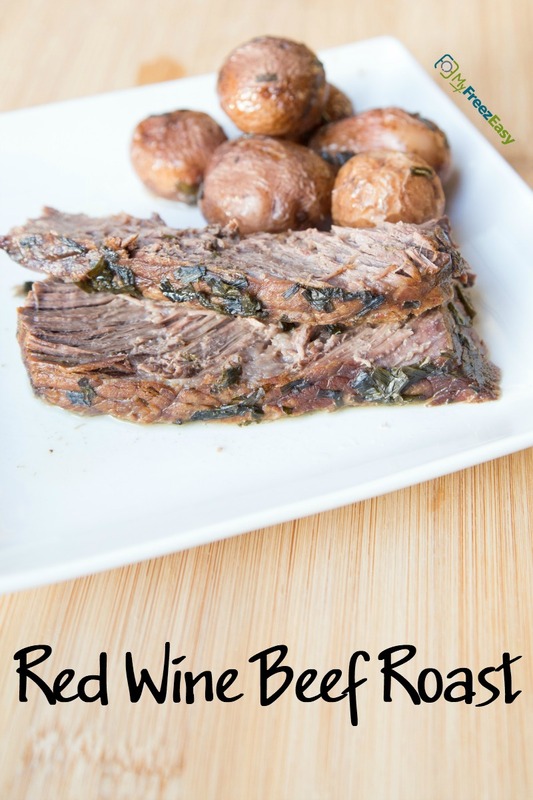 Add the beef roast into the Instant Pot/EPC insert. Season with salt and pepper. Pour the red wine and beef broth around the beef roast. Sprinkle the minced garlic and chives right onto the beef roast. Manual, High, Adjust to 55 Minutes. Quick release and open the lid. Add the baby potatoes and set to Sealing again. Quick release. Slice the beef. Make a gravy with flour or cornstarch, if desired. 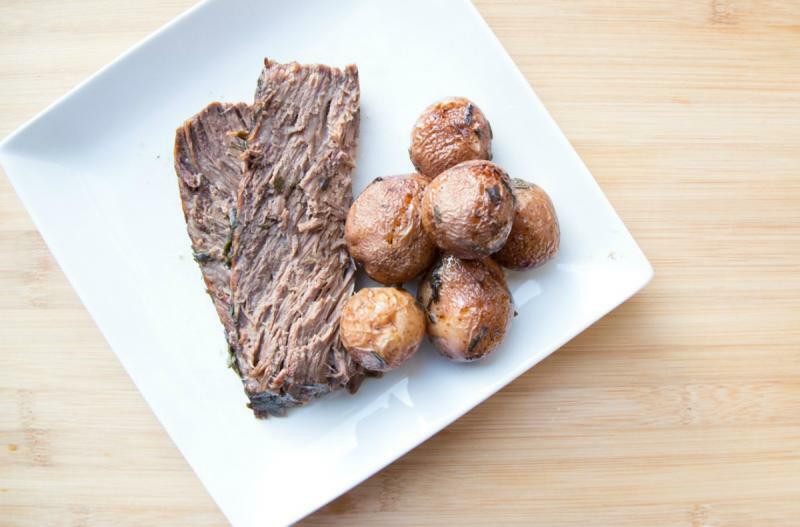 Serve Instant Red Wine Beef Roast and potatoes with side salad. Put baggie in the freezer and freeze up to 6 months in fridge freezer or 12 months in a deep freezer. Thaw in the fridge overnight, or a warm bowl of water for about 20 minutes, before transferring just the beef roast and liquid into the the Instant Pot/EPC insert. Cook as directed, then add potatoes and cook as directed. Thaw and cook roast and liquid for 55 minutes on high pressure. Add the potatoes and cook another 8 minutes on high pressure.